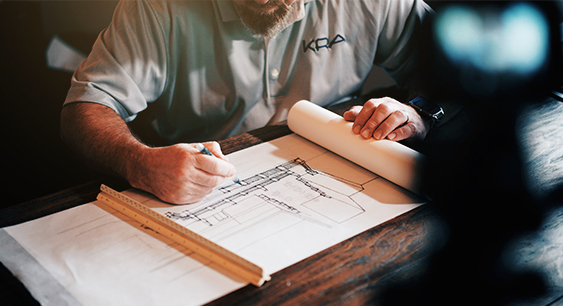 As an architect, the nature of your profession means there are a number of risks you might encounter while carrying out your work and this is why you will need architects insurance. You may not always be equipped to handle losses that arise unexpectedly – such as costs you would incur if someone claims they’ve been negatively affected as a result of your service. That’s when insurance could prove useful. Professional indemnity insurance: This insurance covers the cost of defending your business if your client alleges professional negligence or claims they’ve suffered losses as a result of your work. Negligence may be in the form of inappropriate or incorrect advice or another factor the client considers wrongful. Although professional indemnity insurance is not a legal requirement, it is often considered essential for architects and other individuals providing a professional service. This may also cover any expenses you might face if you’re unsuccessful in your defence of any charges against you. If you would like a professional indemnity insurance quote, click the link. Employers' liability insurance: If you own an architectural firm with employees working for you, employers’ liability insurance cover is mandatory. It is a regulatory requirement irrespective of the number of employees you have. As an employer, you are liable for their safety at work and may be held accountable for any illness or injury they suffer while carrying out their duties. Insurance plans for architects with employers’ liability cover could bear the costs you face in the event of any claims made against you by employees. Public liability insurance: Public liability insurance is not a legal requirement. However, you may consider having it in place because, as an architect, you are vulnerable to liability claims from the public. In the event of any damage or harm to customers or individuals because of your work, this kind of cover could prove essential. For instance, imagine a member of the public walks past your construction site and one of the building materials falls on them. The person then files a charge against you to claim their treatment expenses. The costs you might face in this situation would depend on the gravity of their injury and - if you are not financially prepared - you could be exposed to further legal action. In such an event, if you have public liability insurance, these expenses may be covered by your insurer. Directors and Officers insurance: If you own an architectural firm with executive and management level employees, D&O insurance cover can be useful. This provides protection for claims made against high level employees in your company such as directors, managers, executives or officers. The notable fact here is that high level employees are individually liable for their actions and can be sued directly if they’re accused of wrongdoing – be it failing to fulfil their duties or making decisions that have an adverse effect on others. At such times, you may find it difficult to afford legal costs and compensation, and D&O insurance could prove invaluable in such instances. Business contents insurance: If you have your own office or work space, business contents insurance helps protect you against the cost of repairing or replacing goods lost through damage or theft. This can be extended to include electrical assets such as laptops and tablets. For more information on specific types of contents insurance, for example items stored within an office, visit our office contents insurance page.